Beth Lloyd has written several books and for many years was a broadcast journalist with the BBC. 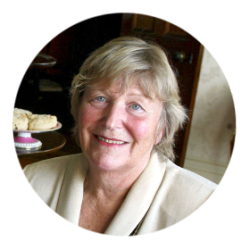 More recently (from 1993 to 2006) she was employed as Head of Business Development at the Jersey Heritage Trust where, amongst her other duties, she organised special events and historical reenactments and was a prime mover in setting up Heritage Lets – self-catering accommodation in the Island’s forts and towers. After leaving the Trust she set up Jersey Heritage Holidays, which offers short break and special interest holidays to the island. The concept is to allow interested visitors the opportunity to learn about Jersey’s rich and diverse history and to discover, in just a few days, something of the real island. Beth provides a very special insider’s perspective on ASA’s Channel Islands tour.